Eugen Klein Jacket 2767 71456, Blue and Beige, Chanel Style, Cotton Blend Weave. 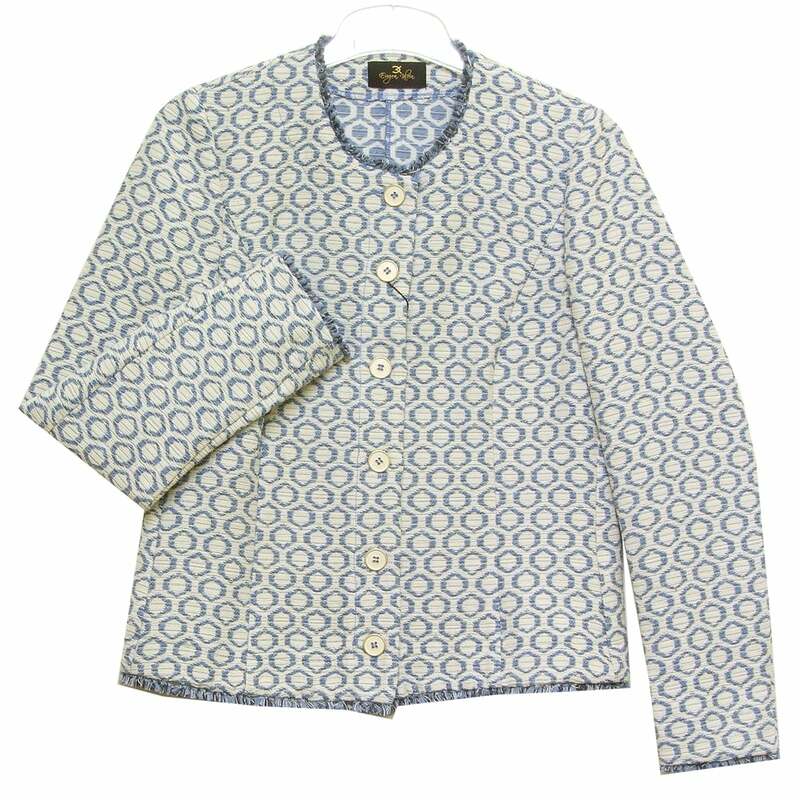 Jacket, Chanel style, long sleeves, round neck, button closure, in cotton blend fabric with woven circle design in blue and light beige with frayed hem detail. 79 percent cotton 19 percent micro-fibre 2 percent other fibres.